Lamia (Michelle Pfeiffer) is seen near the beginning of Stardust. Filmed at the Quiraing on Skye looking south along the Trottenish Ridge. 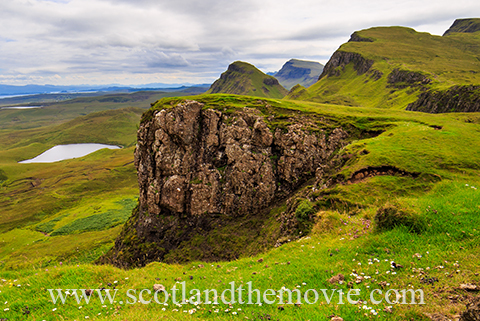 The Quiraing appears again later in the movie with shots of Tristan (Charlie Cox) and Yvaine (Claire Danes). Filming viewpoint looking north to the main area of the Quiraing. 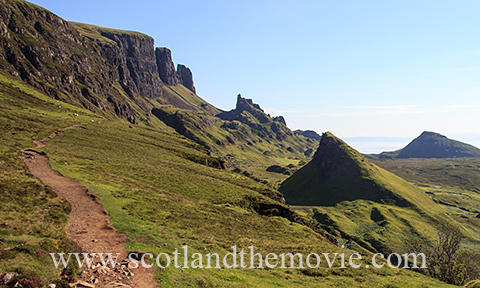 Both scenes were filmed at the area near the path to the Quiraing approximately 250m to 500m from the car park.